In Finland, the winter maintenance of the roads is based on the idea, that all public roads don’t need to be bare on the winter, as far there is adequate friction for safe traffic. To ensure the satisfactory friction level, the Finnish Transport Agency has appointed various friction demands for different kind of roads. This friction is measured by friction meters. Because these meters develop and change through the years, there is a constant need to test the performance of new meters. Mikko Malmivuo’s (Innomikko Ltd) broad experience with friction meter testing is internationally recognized. In Finland, the friction measurements of public roads are traditionally made with braking friction meters and carried out by aerial supervisors, inspection consultants and entrepreneurs. These meters calculate the friction in the basis of deceleration during short braking. During this millenia, optical sensors have also became important tools for winter maintenance quality control. Optical sensors assess the friction and road condition in the basis of the reflection of the light from road surface. These optical sensors are used both mobile (attached to the vehicles) and stationary on the road side. In past few years, new kind of systems using vehicle’s own information sources, have achieved great interest. These systems don’t require separate sensors, but just read the information already available on the vehicle data buses. This information can for example be used to calculate the slip of the driving wheels and when proportioned to motor power, can roughly estimate the road friction. This method can’t reach the accuracy of braking friction meters, but it’s maintenance free, has low unit costs and is totally autonomic. This system can be installed for example in buses or steady route lorries and the driver doesn’t need to care about the measurements at all. Malmivuo, Mikko 2017: The development of friction measurement on public roads 2017. Finnish Transport Agency inner report. 32 p.
Malmivuo, Mikko 2016: Testing a slipperiness detection system which utilizes vehicle data bus information. Research Reports of the Finnish Transport Agency 49/2016. English abstract. Finnish report with 16 page English abstract. Malmivuo, Mikko 2015. Preliminary study. Utilizing real time data from milk trucks to maintain road network service level. Finnish Transport Agency inner report. 12 p.
Malmivuo, Mikko 2015: FCD Road Weather Pilot. Testing of system for mobile road weather monitoring. Research Reports of the Finnish Transport Agency 46/2015. 38 p. English abstract. Finnish report with 9 page English abstract. Malmivuo, Mikko 2015: Testing optical road weather sensors in airfield conditions. Study financed by Finavia. 15 p. English abstract. Malmivuo, Mikko 2014: Comparison between braking friction meter and mechanical friction meter. Finnish Transport Agency inner report. 33 p.
Malmivuo, Mikko 2013: Comparison study of optical friction and temperature meters 2013. Research Reports of the Finnish Transport Agency 52/2013. 42 p. English abstract. Finnish report. English report. Malmivuo, Mikko 2012: The additional tests with braking friction meters in Nokia 7.-9.3.2012. Finnish Transport Agency inner report. 29 p.
Malmivuo, Mikko 2011: How to gather winter maintenance and road weather information in fatal wintertime accidents. An inner study financed by Finnish Crash Data Institute. Malmivuo, Mikko 2011: Friction meter comparison study 2011. Research Reports of the Finnish Transport Agency 48/2011. 80 p. + app. Finnish report with English abstract. Malmivuo, Mikko 2011: The development of measuring road surface friction in Finland. Research Reports of the Finnish Transport Agency 14/2011. 39 p. + app. Finnish report with English abstract. 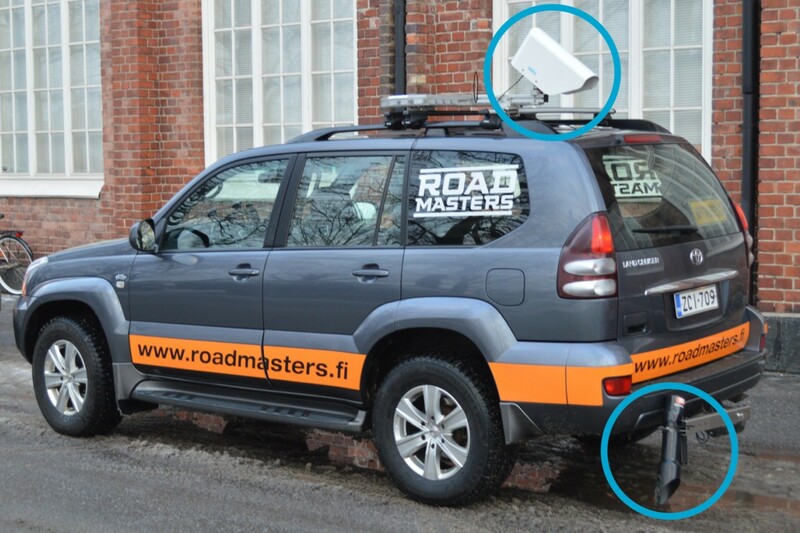 Malmivuo, Mikko 2010: Utilizing experienced roads users in road weather monitoring. Finnish Transport Agency inner report. 26 p. + app. Malmivuo, Mikko 2010: Testing μTEC friction meter during Testworld Oy winter tyre tests. Finnish Transport Agency inner report. 27 p. + app. Malmivuo, Mikko 2010: Utilisation of new road surface sensors, situation in Finland. Literature study. 10 s. Finnish Transport Agency inner report. 10 p.
Malmivuo, Mikko 2007: Trial for slipperiness risk forecast service. Follow-up research. Finnish Road Administration reports 41/2007. 47 p. + app. Finnish report with English abstract. Schirokoff, Anna, Malmivuo, Mikko, Kulmala, Risto, Virtanen, Niina 2006: Functionality of an optical road weather and temperature sensor. Finnish Transport Agency inner report. Malmivuo, Mikko, Kallio, Mikko, Tapio, Juha, Mäkinen, Tapani 2005: Moving road weather systems: present state and future prospects. Finnish Road Administration reports 31/2004. 55 p. + app. Malmivuo, Mikko, Kummala, Juuso 2002: The possibilities of road weather and traffic information. Preliminary study. Finnish Transport Agency inner report 6/2002. 38 p. + app. Malmivuo, Mikko 2001: Comparison study of friction measurement devices. Finnish Road Administration reports 6/2001. 53 p. + app. Malmivuo, Mikko, Pajunen, Kirsi 2000: The experiment of enhanced weather monitoring system – Road traffic telematics experimental area on the E18. Finnish Road Administration reports 5/1999. 64p. + app. Finnish report with English abstract.